The occupational therapy programme at Perdana University is designed with academic rigour and vigour to produce professionals of the field. Supervision and guidance is provided throughout the entire programme. Students are trained by a team of academicians and practitioners with relevant industry experience. The learning process involves an apprenticeship where knowledge and skills are passed from senior practitioners to a new generation of occupational therapists. As an occupational therapist you would help people to live their lives to the fullest possible. This is done by ensuring that the client’s home, workplace and community are accessible and safe. The occupational therapist focuses on the provision of aids and adaptation to ease daily activities. They also provide a comprehensive report on client’s functioning and recommend practicable solutions. If you are zealous in advocating health and well-being of the community around you, then this would be the programme that fits your purpose. 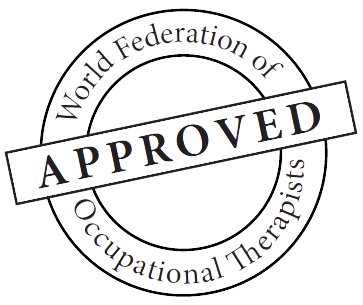 1000 hours required by the World Federation of Occupational Therapists (WFOT). Occupational therapy in elderly care. Occupational therapy in sexuality and disability. In the first year, students will be exposed to introductory subjects related to occupational therapy. They will be able to identify, describe and relate the concepts of occupational therapy in everyday living. Other subjects include basic anatomy, orthopaedic and surgical conditions, therapeutic activity and general pharmacology. In the third year, students will learn a number of subjects that are specific to the role of occupational therapists. These include ergonomics, elderly care, sensory integration and special education for children with disabilities. Research methodology will also be learned, where the students are expected to relate occupational therapy practices and research findings. Management of occupational therapy services will also be part of the subjects during this year. In the second year, students will be exposed to the specifics of occupational therapy assessments and interventions. 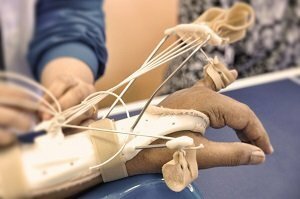 These are learnable via subjects such as neurological and paediatric conditions, orthotics and prosthetics, pressure garments, kinesiology and biomechanics in occupational therapy. In the final year, students will learn subjects that would be geared towards entry into community services. The subjects include community based rehabilitation, health promotion, work rehabilitation, driving rehabilitation as well as sexual and disability. This programme is approved and recognised by the World Federation of Occupational Therapy (WFOT) that is based in U.K.
Students who excel in the following Pre-University programmes are eligible to apply.